Hitach GST today has introduces a new range of external hard drives, which comes with fast USB 3.0 interface and along with the usual local backup offers and online, cloud backup alternative for your precious content. The new family feature a sleek piano black design and are available in 2.5-inch Touro Mobile Pro and 3.5-inch Touro Desk Pro line, which are spin at 7200 RPM, has a USB 3.0 interface and comes with 3GB of online storag and allowing to access your files from anywhere and from different devices like laptops, tablets or smartphones. 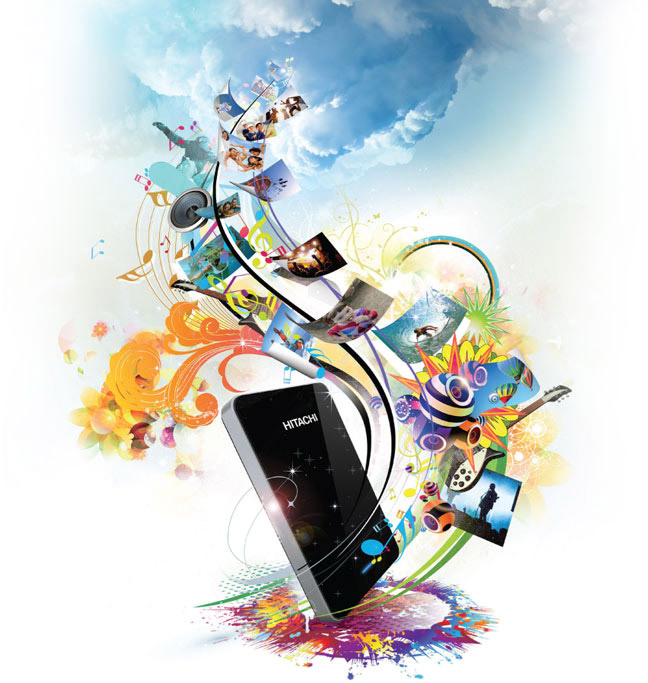 Hitachi says that you can even share your online content with others by simply sending a web link. If you need more online spece for your files, the company offers an option to upgrade to 250GB for $49 per year. The Touro Mobile Pro line is offered in 500GB ($109.99) and 750GB ($129.99) models, while the Touro Desk Pro in 1TB ($129.99), 2TB ($179.99) and 3TB ($229.99). 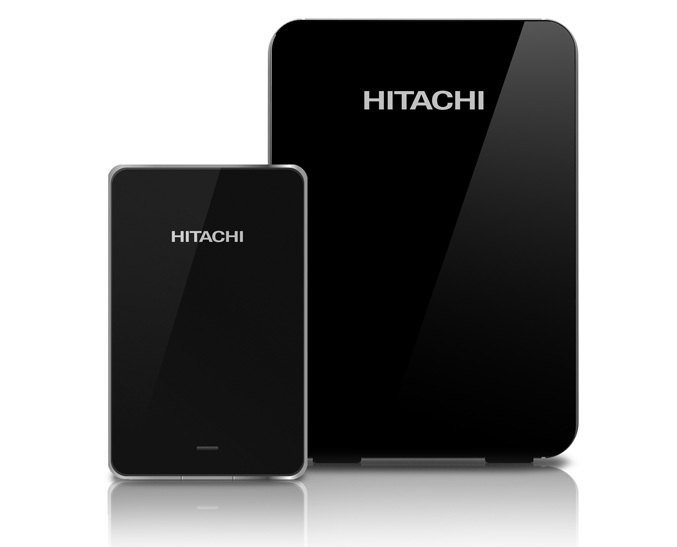 Hitachi also announced and “regular” Touro line of mobile and desktop drives which comes with USB 2.0 interface and pack a 5400 RPM hard drives. 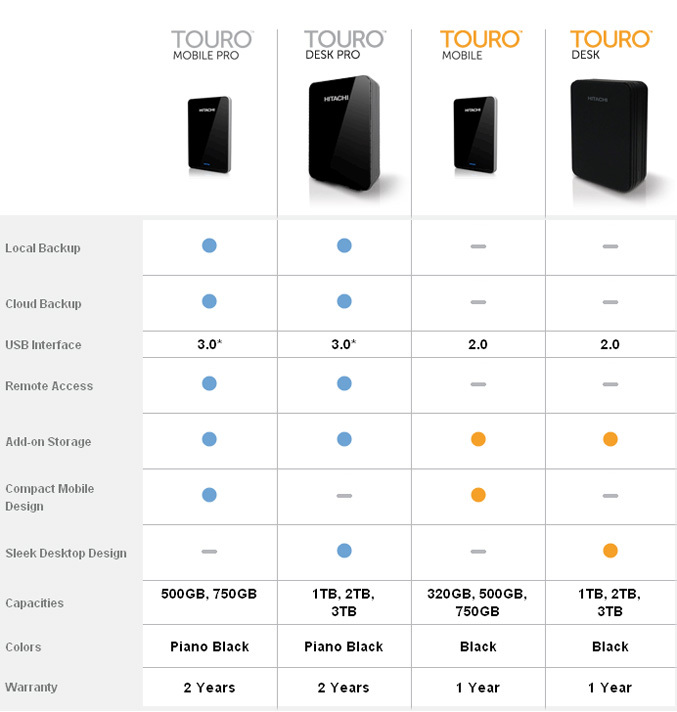 The Touro Mobile Drives are available in 320GB, 500GB and 750GB for $79.99, $99.99 and $119.99, respectively, while the Touro Desk Drives come in 1TB, 2TB and 3TB for $99.99, $149.99 and $199.99, respectively. The Hitachi Touro Mobile Pro and Touro Mobile drives are now available. The Hitachi Touro Desk Pro and Touro Desk versions will ship in June.